Our High Tunnel Greenhouse is Up! 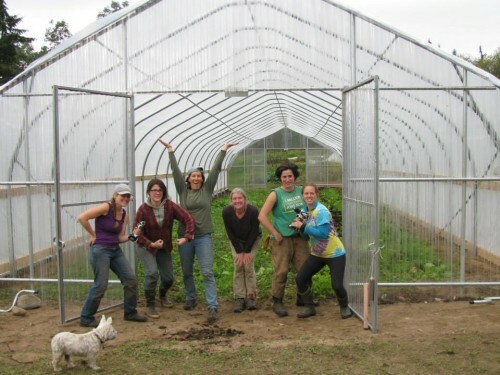 In just a few short weeks with these smart and powerful women we were able to build this new greenhouse. Incredibly good ideas, dedication, an eye for straight and plumb, and a lot of muscle from our awesome interns helped us finish in time. Can you say awesome?! Under construction — the bows are up! 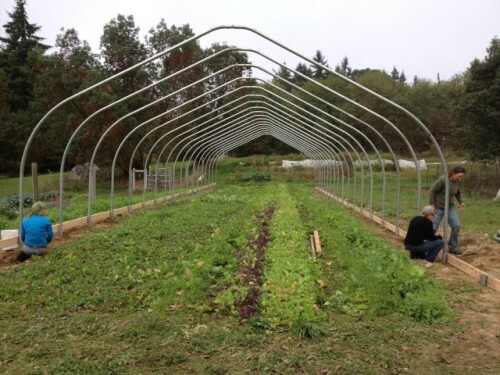 Learn a bit high tunnel greenhouses. See more photos on Persephone Farm’s Facebook page.